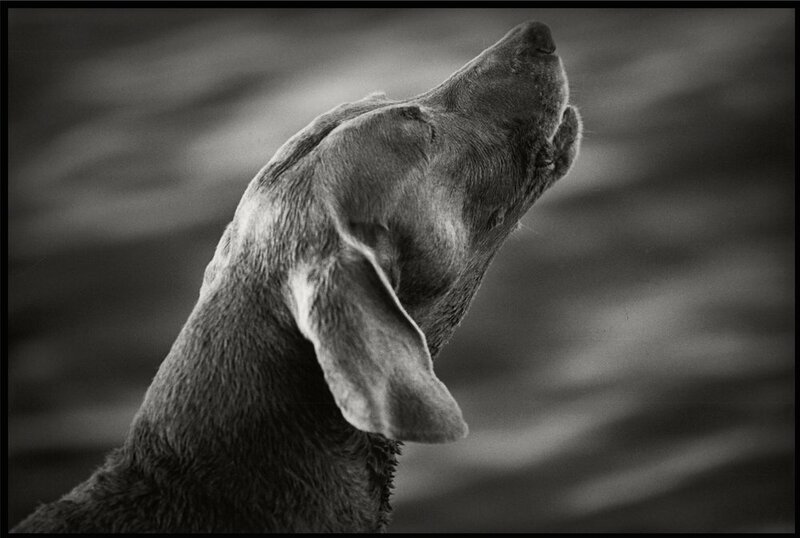 Photographer Amy James' latest BRG exhibition, Doggone, looks at the unbreakable bond so many are intimately familiar with between human and canine. An avid dog lover, James turns her lens to dogs of various breeds and ages - both alongside their human companions and without them - to explore what that bond means for both. This show is a deeply personal one for James as she put down her own longtime canine companion the day this exhibition was being installed. James shoots primarily in black and white, using silver and film. She was trained as a painter but was drawn to the darkroom upon learning it could create as much of a challenge as the empty canvas. James studied at LSU under Michael Crespo and Robert Hausey with Thomas Neff, her photography professor, perhaps being her greatest influence and mentor. James exhibits in many venues throughout the South with permanent exhibits displayed in Ruston, Baton Rouge, Birmingham and Dallas. She has been a BRG artist member since 2003. This exhibition is presented alongside the latest works from Mary Lee Eggart and Michael w. Howes. All works from these three artists are on view, free of charge, during normal gallery hours (12 - 6 p.m., Tue - Sun) through July 26, 2018.